The journal Nature published a method that combines both these factors to make an inert C-H bond reactive—effectively turning chemical "trash" to "treasure." "We can change a cheap and abundant hydrocarbon with limited usefulness into a valuable scaffold for developing new compounds—such as pharmaceuticals and other fine chemicals," says J.T. Fu, a graduate student at Emory University and first author of the paper. 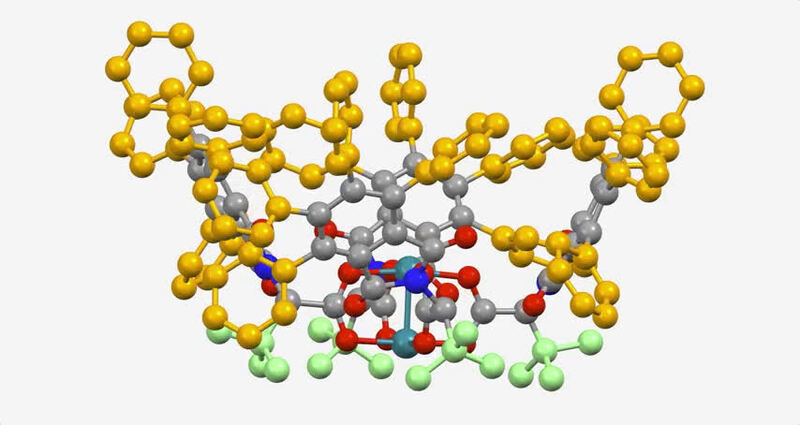 "This latest catalyst is so selective that it goes cleanly for just one C-H bond—even though there are several C-H bonds very similar to it within the molecule," says Huw Davies, Emory professor of organic chemistry and senior author of the paper. "That was a huge surprise, even to us." This dirhodium catalyst works on a substrate of tert-butyl cyclohexane, a hydrocarbon—one of the simplest of organic molecules, consisting entirely of C-H bonds. "Not only can we do a totally unprecedented reaction, we can do it under extremely simple conditions," Davies says. "Tert-butyl cyclohexane is a classic organic structure in chemistry. That helps validate the mainstream potential of C-H functionalization." 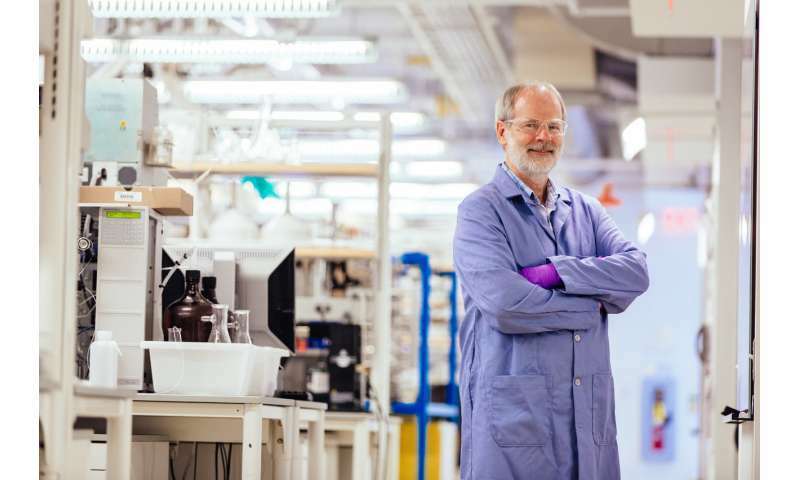 Davies is also the founding director of the National Science Foundation's Center for Selective C-H Functionalization, a consortium based at Emory and encompassing 15 major research universities from across the country as well as industrial partners. The co-authors of the Nature paper are Djamaladdin Musaev, director of Emory's Cherry L. Emerson Center for Scientific Computation; Zhi Ren, a post-doctoral fellow in the Davies lab; and John Bacsa, facilities director of Emory's Crystallography Lab. Organic synthesis traditionally focuses on modifying reactive, or functional, groups in a molecule. C-H functionalization breaks this rule for how to make compounds: It bypasses the reactive groups and does synthesis at what would normally be considered inert carbon-hydrogen bonds, abundant in organic compounds. The aim is to efficiently transform simple, abundant molecules—in some cases even chemical waste materials—into much more complex, value-added molecules. Functionalizing C-H bonds opens new chemical pathways for the synthesis of fine chemicals—pathways that are more streamlined, less costly and cleaner. Organic synthesis, for example, typically involves the use of many reagents, and can produce toxic, inorganic byproducts. In contrast, each dirhodium catalyst developed by the Davies lab uses only a single reagent and speeds up a reaction without being used up in the reaction. Most of the catalyst can be recycled and the only byproduct generated is nitrogen, which is innocuous. Chemists experimenting with C-H functionalization often use a directing group—a chemical entity that combines to a catalyst and then directs the catalyst to a particular C-H bond. The process works, but it is cumbersome. The Davies lab bypassed the need for a directing group by developing catalysts encased within three-dimensional scaffolds. The bowl-shaped scaffold acts like a lock and key to allow only particular C-H bonds in a compound to approach the catalyst and undergo the reaction. "Each of the catalysts are unprecedented, achieving a different kind of selectivity than has been seen before," Davies says. "We're developing a toolkit of new catalysts and reagents that will do selective C-H functionalization at different sites on different molecules." In addition to controlling site selectivity, the scaffold of the dirhodium catalysts controls the chirality of the molecules produced in the reaction. Chirality, also known as "handedness," refers to a property of three-dimensional symmetry. Just as the human hand is chiral, because the right hand is a mirror image of the left, molecules can be "right-handed" or "left-handed." The handedness of a molecule is important in organic chemistry, since this 3-D shape affects how it interacts with other handed molecules. When developing a new drug, for instance, it is vital to control the chirality of the drug molecules because biological molecules recognize the difference. The current Nature paper describes the fifth major new catalyst for C-H functionalization that the Davies lab has developed during the past two years. 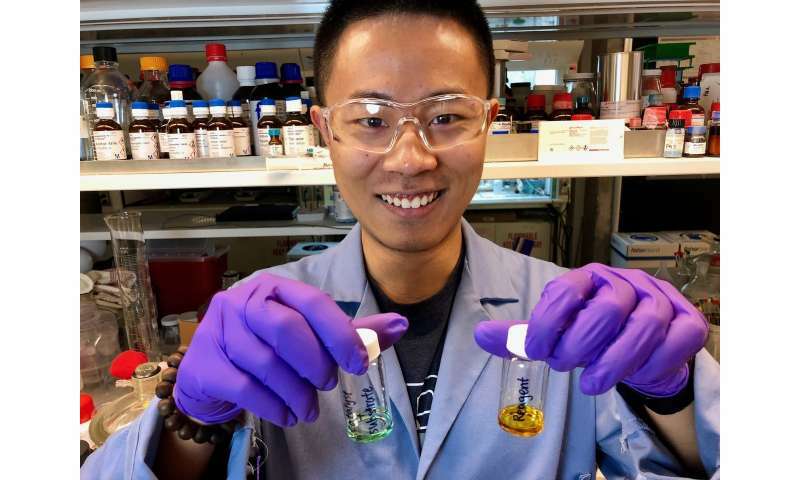 As a graduate student, Kuangbiao Liao (who has since received his Ph.D. from Emory and is now working for the pharmaceutical company AbbVie) was first author on two papers that appeared in Nature and another published by Nature Chemistry for catalysts developed in 2016 and 2017. Graduate student Wenbin Liu led the work on a fourth catalyst developed earlier this year, published by the Journal of the American Chemical Society. "We've achieved exquisite catalyst control that is beyond what people thought would be possible even two or three years ago," Davies says. "It's incredible what my students have been able to achieve." The Davies lab is now exploring adding electronic effects to its dirhodium catalysts. "Instead of just interacting with inert shapes, we want our catalysts to have the ability to electronically repel or attract different molecules," Davies explains. "That could make our methods even more sophisticated and subtle than what we can achieve now, opening up additional new chemical pathways."